Home » 12-13 Offseason » Would You Trade Ruben Tejada for Rick Porcello? 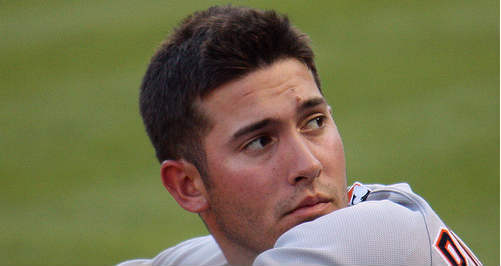 Would You Trade Ruben Tejada for Rick Porcello? In today’s edition of “Would You …?” I present the preposterous proposition of trading Ruben Tejada to the Detroit Tigers for righthanded starter Rick Porcello. It’s preposterous, of course, because there’s no way the Tigers would ever agree to such a deal. Further, my bet is the Mets would be uncomfortable sending away Tejada without having a legitimate MLB shortstop — or even a shortstop-in-waiting — on the roster. But this “Would you …?” series is all about fantasy, and we’re allowed to enjoy the benefits of poetic license. So let’s pretend that the Mets have re-signed Ronny Cedeno to a reasonable one-year deal, and that Wilmer Flores will remain at shortstop and be ready to play there by 2014. I know, we’re really stretching the limits of imagination, but just play along for a moment, OK? If the Mets had the shortstop position otherwise covered for the foreseeable future, would you trade Ruben Tejada straight up for Rick Porcello? Me, I would — in a heartbeat. I know there are Mets fans who think Tejada may evolve into another Miguel Tejada, but I’m betting he’ll be closer to a modern version of Bucky Dent (which isn’t all that bad). And I know there are people who believe that a steady, solid-fielding, decent-hitting, young shortstop is hard to find. I agree — but I also believe that a 23-year-old starting pitcher with four years of MLB experience is even harder to find. From where did I dream up this deal? I’ve been hearing that Detroit is looking for a slick-fielding shortstop this winter, and they have a surplus of pitching. Most likely, it would take more than Tejada to pry away Porcello, and I’d be OK with that — I’d be willing to include, say, Jenrry Mejia, Jeurys Familia, or Dillon Gee, if that’s what it took to get Porcello back. My feeling is that the best chance for the Mets to build a winner is to stock up on young pitching — lots of it — and getting a 24-year-old with both experience and upside is worth the “pain” of Tejada and one of those three hurlers. Part of my argument, though, is counting on the idea that Familia and Mejia will never be more than middle relievers, and/or we’ve seen Gee’s ceiling (if Gee were a few years younger, or didn’t have the fraying labrum, I might feel differently about him. What’s your thought? Am I off my John Rocker? Would you do such a deal, assuming the extended imagination presented above? Why or why not? Answer in the comments. Next Would You Have Signed Melky Cabrera? First of all, I politely disagree that Tejada is a decent hitter. He would be a very good #8 or a decent #7 hitter, but nothing much else without power, speed, or a high OBP. Secondly, I disagree that the Mets would be uncomfortable w/out a major league ready shortstop. They are comfortable with no real second basemen, catcher, and outfield. Why would they draw the line at shortstop? You make a valid point re: the Mets’ comfort with illegitimate MLBers at catcher, 2B, and OF. I’m assuming, then, you’d green-light such a trade? Until this GM makes a trade to improve the team, any trade he makes is not desirable. Three Winters, two summers, and he’s hanging his hat on one prospect. This makes him the worst GM in history. I have never seen Porcello pitch and don’t feel qualified to make that judgement. In general, I do feel Tejada’s value is high and it is easier to find a good glove/bottom of the order hitter then to find a quality starting pitcher. I also been leading towards trading prospects like Mejia because I feel GMs seem to be overvaluing prospects (because of economics?) compared to the past. Sort of like reverse Moneyball. I don’t know what Wilmer Flores will do while I have more of an idea what Tejeda will do. The net result is a much bigger question mark at SS which seems problematic. If the Mets give up Gee, you are taking away a likely rotation spot (and young starter), which seems to hurt the overall goal here. He also looks like a good pitcher and all, but I’m not sure if he’s an ace or anything. I wouldn’t do it. Gee and someone other than Tejeda? More likely to do so. I look at Porcello’s career numbers and I see nothing special. I look at the $3 million he made last year, and the fact that he’s Super 2 arbitration eligible, and I don’t see him fitting into the Mets finite payroll. In principle, I agree with you. You know the cliche about pitching. Ruben is solid, but his lack of speed and power most likely pegs him as a #8 hitter. Mets would need to resign Cedeno first. OMFG YES IN .00003 SECONDS! Seriously. Promising prospect, good velocity, some sink, has occasionally looked like he’s figuring it out… but never strikes out anyone or sustains any high level of success. I’d rather have Gee than Porcello. At least Gee’s reasonably effective when he’s healthy. I would happily trade Tejada and Mejia/Familia for a young pitcher with upside, but Porcello is the wrong one. If its not gonna happen why even talk about it. It’s a waste of time. IT’S NEVER GONNA HAPPEN. Tejada is the new “ordonez” – he ain’t going anywhere.